A meeting to learn about the experience of making connections across the divides of worker-green-Indigenous movements. 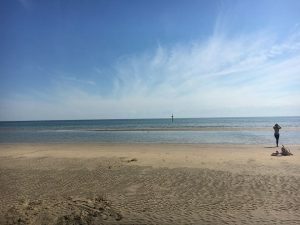 After a successful first meeting on 1 July we are keen to meet again and to get active. Currently, there are several campaigns and initiatives that we wish to support, such as the Djap Wurrung Sacred Trees Embassy. All welcome. Bring your ideas. For more information, please see the Facebook event page. The meeting will take a collection to ‘pay the rent’ with money going to the Djap Wurrung Embassy. 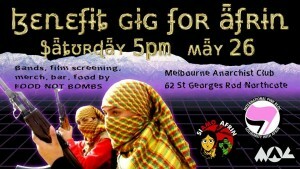 We've partnered with Pink Bloc - Narrm / Melbourne and Post-romantic queerwave to raise money in support of Si Amo Afrin (We Are Afrin). All proceeds from selling merchandise and donations at the door will go towards this grassroots campaign to gather global funds for urgent humanitarian aid for refugees from Afrin who have been displaced by Turkey's invasion and attack on the Rojava revolution. Almost half a million residents have been displaced, many have been kidnapped, tortured & murdered by the various fascist proxy armies of Turkey. Medical aid is urgently needed, as is water, food and shelter. There is nothing about the revolution in Rojava that Turkey or any other nation-state wants to see succeed and for that the people there will face further persecution. We stand in solidarity with these families displaced by war and those who would challenge oppression. If you can't make it on the night, you can still support the fundraiser by purchasing merch here OR by donating directly to the Si Amo Afrin campaign here. Catering provided by Food Not Bombs -- available by donation. *Please note, this venue has ramps but no wheelchair accessible toilets. **Starting the night early from 5pm, we'll be showing a documentary on Rojava before a feed and a night of talented musicians. FOR MORE DETAILS, PLEASE SEE THE FACEBOOK EVENT PAGE HERE. Did the events of October 1917 in Russia realise the dream of communism or was it simply a transfer of power from one government to another by other means? 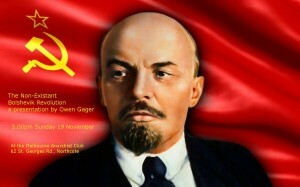 Come to a presentation given by Owen Gager, one-time founding member of the Spartacist League in Australia about the events in Russia in 1917 with a particular emphasis from February to October. Hear Owen Gager explain the betrayal of the Russian workers by the Bolshevik Party as the revelation of their real aim; the capture of State power. If you've ever wondered how the Dictatorship of the Proletariat became the Dictatorship of the Party became the Dictatorship of the Dictator? You'll wonder no more after listening to this informative and insightful presentation. In July Weirding Cinema began screening films at MAC. 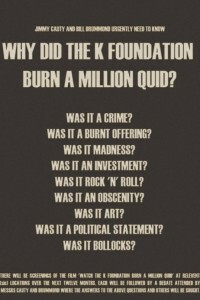 The next session is this Thursday, November 16: Why did the K Foundation burn a million quid? Doors at 7pm for a 7:30pm start. Admission is free. Sheep are welcome. Ice cream van parking available. Mu be with you. We're having a gig on Saturday, October 29. Entry by donation. All proceeds to bands. This Sunday, June 12, MAC will be closed. 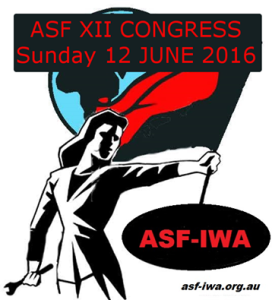 The Anarcho-Syndicalist Federation is holding its XII Congress on Sunday. Registration of delegates and observers is at 10am. 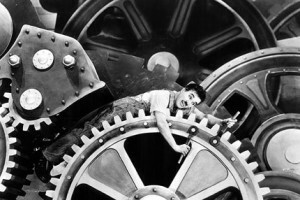 On Saturday, June 25 MAC will be showing Charlie Chaplin's classic 1936 film, Modern Times. The MAC will be hosting a B&W movie classic on the last Saturday of the month through Winter. Light snacks & refreshments, 7pm screening. 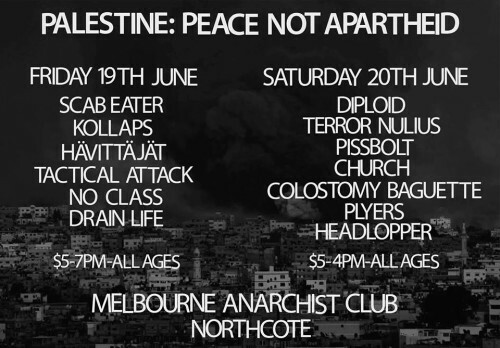 On Sunday, November 1, at 12:25pm, five members of the fascist group the 'United Patriots Front' (UPF) attended the Melbourne Anarchist Club (MAC) in Northcote. The five confronted a member of the Club who happened to be present: the confrontation was filmed and uploaded to the UPF Facebook page. Obviously, the UPF intended their visit to intimidate the MAC, local anarchists, and all those in Melbourne who reject fascism. In this context, we deeply appreciate the solidarity displayed by local anti-fascists who attended the space later that day in support. The MAC is issuing this statement in order to re-affirm our commitment to anarchist politics and to appeal to the broader community to join us in a public refusal of fascist attempts at intimidation. We appeal to our fellow anarchists, anti-fascists, and all those involved in public campaigns to oppose racism and fascism in Melbourne to attend the Club on our next opening day on Sunday, November 8 from midday onward. We intend to carry on our work of promoting anarchism, regardless of the UPF's actions. Please note : the gig has been CANCELLED and rescheduled to take place in August. Please refer to the Facebook event page for more details. 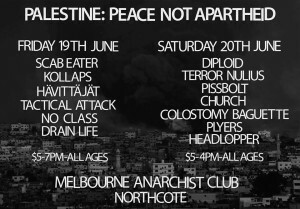 On the weekend of June 18/19, MAC is hosting a gig: Palestine: Peace Not Apartheid. A $3 donation will get you a beer. Please see the Facebook event page for more details. 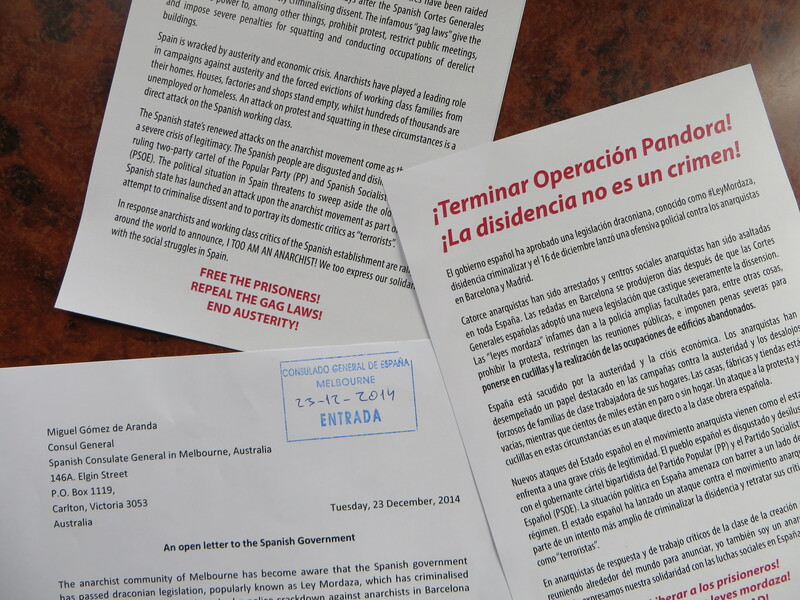 On Tuesday 23 December members of the MAC and others paid a visit to the Spanish consulate in Melbourne. We delivered an open letter to a consular official and held an hour-long protest outside the consulate. 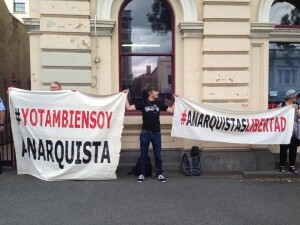 The action was held in solidarity with anarchists in Spain who have been arrested by police and accused of belonging to an 'anarchist terrorist' association. We also wanted to register our opposition to the new gag laws that criminalise political dissent in Spain. We will continue to monitor events in Spain and to act in solidarity with our Spanish comrades. Note: the MAC will be closed over the holiday period and re-open on January 4. Our first gig for the year is on Friday, February 6 with Kollaps, Headlopper, A Commoner's Revolt and Spacecho. 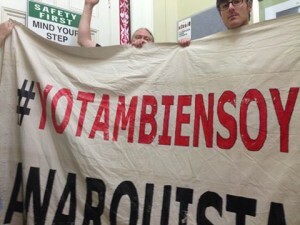 Protest in solidarity with Spanish anarchists. Against the gag laws, against state repression! 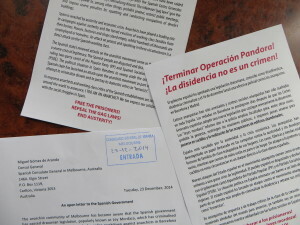 On December 16, 2014, Spanish police launched 'Operation Pandora'. 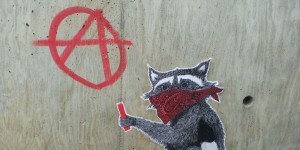 Round-ups, searches, and arrests were carried out at squats in the 'Casa de la Montaña' district of Barcelona, at the libertarian San-Andres reading room, the anarchist Poble-Sec reading room, as well as 15 private homes. 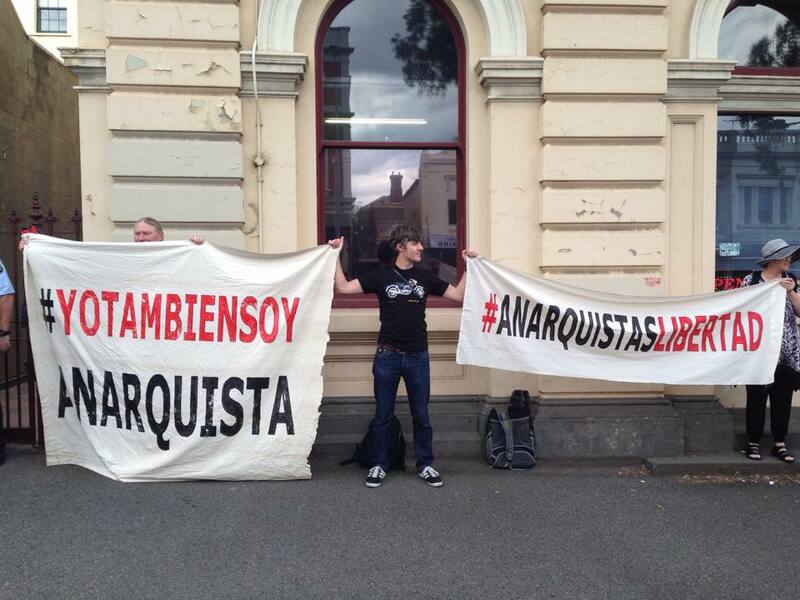 Presently, 11 anarchists have been detained incommunicado by the state and accused of belonging to an 'anarchist terrorist' organisation. At the same time as these attacks upon the anarchist movement, the Spanish government has introduced new laws which criminalise a wide range of political activity. Among other things, the new laws "allow fines of up to €30,000 for disseminating photographs of police officers that are deemed to endanger them or their operations. Further, individuals participating in demonstrations outside parliament buildings or key installations could be fined up to €600,000 if they are considered to breach the peace. 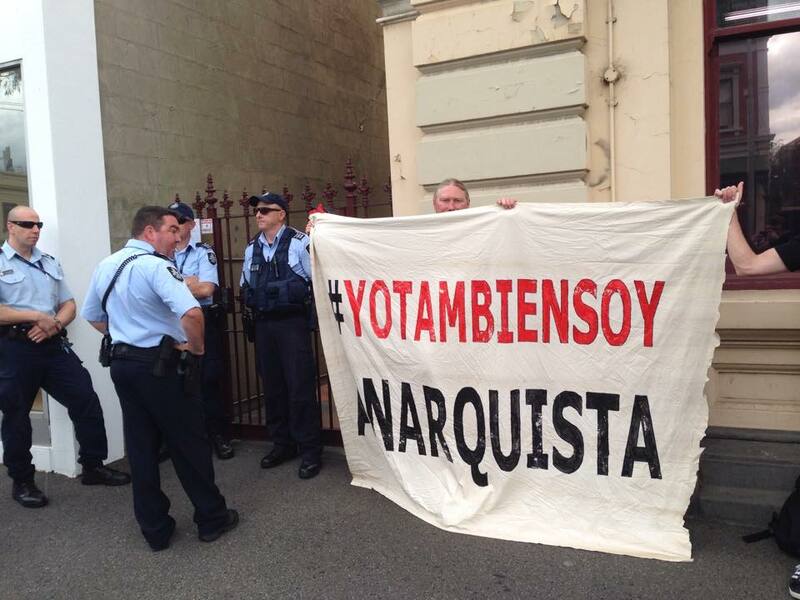 Those insulting police officers could be fined up to €600. Burning a national flag could cost the perpetrator a maximum fine of €30,000". The police action and the enactment of new, harshly repressive laws come at the same time as the Spanish state is implementing deeply unpopular austerity measures, part of a European-wide attack on working conditions. In response, mass popular movements have arisen to contest these measures and it is surely no coincidence that the state now aims to criminalise these movements and their activities. On Tuesday, we will be joining the tens of thousands of workers in Spain who have already mobilised in response to state terror and repression to demand: the immediate release of the anarchists; the repeal of the new gag laws and; an end to the attack upon working conditions and workers' movements in Spain. Please join us outside the Spanish consulate in Melbourne at midday on Tuesday, December 23 and let workers in Spain know that they do not struggle alone.